We are the closest spot (1km) to the Hluhluwe/Imfolozi National Park. For the best 4x4 open vehicle game drives, visit Hluhluwe Backpackers!! We call the Big 5 our neighbors and enjoy a stunning 360 degree view onto the surrounding hills of Zululand and the mountains of the Park in the distance. We offer a very warm and homely atmosphere in a unique and peaceful environment. 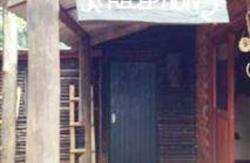 Our main house have 6, comfortable double rooms with shared bathroom facilities. The kitchen is very well equipped with all cutlery, crockery, utensils, an electric stove, gas plates, a fridge and freezer and a microwave. If you are not in the mood for cooking, we can spoil you with one of our tasty, prior arranged, 'braai' or 'potjie' meals. (These meals are R85.00 p/p) The large garden area with a big boma/braai (bbq) and outside eating areas, offer you ample space to relax! We do not sell alcohol on the premises, but you are welcome to bring your own and we have a 'pub' area where you can sit and relax and enjoy your drinks. Also on offer is an outside double room under the shade of Marula and other indigenous trees! Excellent ablution facilities are close-by. 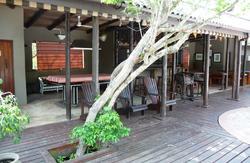 Our self-catering kitchen and Boma/Braai (BBQ) area is there for your use. We also have ample parking space and a security guard is always around. We recommend you to join us on one of our open-vehicle game drives into the National Park, conducted by a professional Field Guide. Further information for the game drives are available on request. Extras include fire shows, Zulu dancing, star gazing, bird watching, trips to St Lucia Estuary (we offer a 3-day trip, information of which, is also available on request) and surrounding areas including rural Zulu Villages, etc. 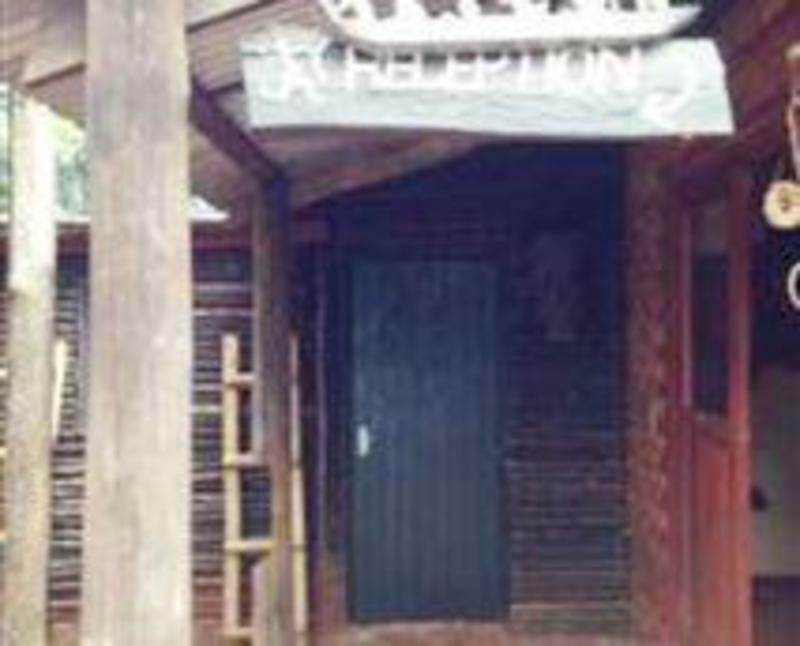 Hluhluwe Backpackers is an ideal place where you find the relaxation and tranquility you are looking for! Traveling on the N2 highway from either North (Swaziland Border) or South (Durban/Richards Bay), take the turn-off to Hluhluwe/Sodwana Bay. Follow the signs to the Hluhluwe/Imfolozi National Park. Find us on the left-hand side after 12km. (Northern gate of the Park.